Raise your hand if you’ve ever been at a crossroads in life. We’ve all stood there at one point or another—maybe confused, maybe scared, maybe mad, maybe exhilarated. And today I want to share the (overly simple) two-step formula I use to navigate both personal and professional crossroads in hopes it can help you make the next step forward. It all comes down to finding clarity. Step 2: Why do you want it? If your life is anything like mine (you grow, change, and have different needs at different times in your life), then your “what” and “why” will likely evolve. That’s totally normal. When it happens, go back to step one. Here are a few personal examples of how my what and why have shifted over the years. I worked in New York City in 2001. After 9/11, my company laid off my entire division. In an instant, I was launched into survival mode: I was 23 with bills to pay and a nest egg large enough to buy the next month’s groceries. What was most important to me at that time? Safety and job security. My purpose was to land back on my feet and earn enough to pay my bills. This led me into pharmaceutical sales, where I would receive a good paycheck, benefits, and the best sales training in the world. Was it my dream job? No. Did it fulfill a purpose in my life? Absolutely. And I’m eternally grateful for the opportunity. When I left the agency life after 4.25 days, it was because it didn’t align with my what or why: to do meaningful work for the greater good because my heart was calling me to serve a community of people who needed the gifts I had to offer. So I found a gig that allowed me to do just that. And I did it for several years, until my “what” and “why” shifted again. During the first month of 2018, I turned down six new business opportunities. Why? These potential new clients did not line up with my mission to help people live their best lives, personally and professionally. They had different coaching needs, something I am capable of, but they didn’t quite fit my what or why. Saying no to these clients allowed me to say yes to others who were a perfect fit. Two months later, my slate is full—with clients I love. This will help you find your clarity. Find your power. And ultimately, find your happiness. Want a monthly dose of inspiration sent to your inbox? Sign up here. Exhausted? Join the club—then leave it. I recently received an email from a woman that said she was moving from “survival mode” into “purpose mode.” And without having met her, I knew exactly what she meant. We’ve all been there, haven’t we? We’ve been stuck on the proverbial hamster wheel, doing what we can to make it to the end of each day. The majority of client interactions I’ve had this week have been with people who consider themselves to be “midlife” (40-50 years old), and the common thread in our sessions can be summed up in one word: exhaustion. The client who asked this owns a business that is booming. But she feels as if she might just roll down the stairs from exhaustion every single day. 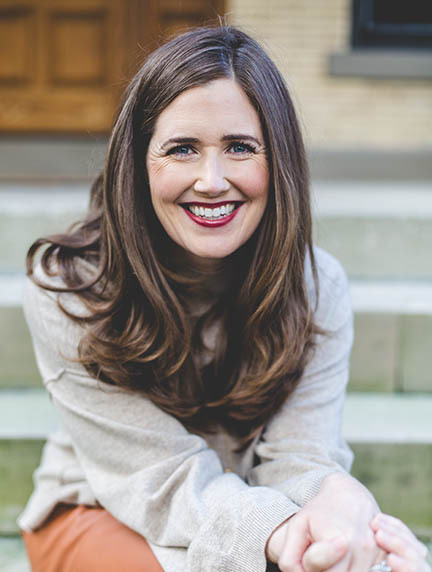 She hesitates to share her feelings of being overwhelmed because she knows she’s lucky to have the incredible book of business she has—that she created from the ground up. But she’s gasping. Another client said this, sparking a good conversation about the time we invest in work relationships and the time we neglect to give the people we love most. And then over lunch, a friend told me that while driving home from a weekend trip, she was feeling so stressed about the combined chaos of work and life that she asked her husband to pull over while driving because she needed to get sick. What would happen if I lowered my expectations? Most high-achievers are perfectionists. But if you’re too exhausted to think clearly, you can’t even be good, let alone perfect. What are the things in your world that can be “good enough?” If you can let go of the idea that everything must be perfect, you can recoup some energy and redirect it as necessary—whether it’s into the project that deserves the most attention or that yoga class that is bliss. How do I choose to measure myself? Consider what standard you are holding yourself (and others) to, and ask if it’s worth it. So many people chase “success” without knowing what, exactly, that looks like. I like to measure it by the number of meaningful interactions I have with those I love most. This week—or even just this day—how many of those moments can you make time to enjoy? I’m in my mid-life, too. Marriage, kids, career … trying to keep all the balls in the air is no joke. But remember that even amidst the chaos, you are in control. Small changes can yield big returns. What one small change will you make today to reclaim order? As Mary Oliver once said, we have but one wild and precious life. Own it. And love it.